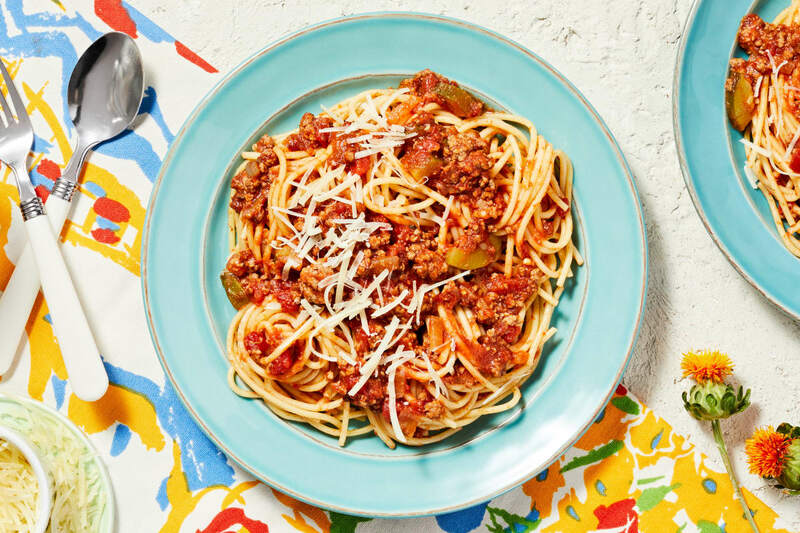 Spaghetti with tomato sauce is always a recipe for success. Is there anyone who’d turn down a plate of noodles piled high and dusted with cheese? Surely not, although adding some extra meat and veg certainly makes it all the more crave-able. 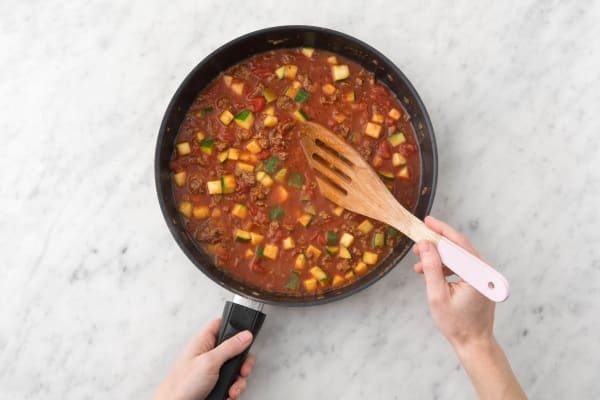 Which is exactly what we’re doing: taking a tried-and-true Italian American classic and adding hearty ground beef and bites of tender zucchini. Wash and dry all produce. Bring a large pot of salted water to a boil. 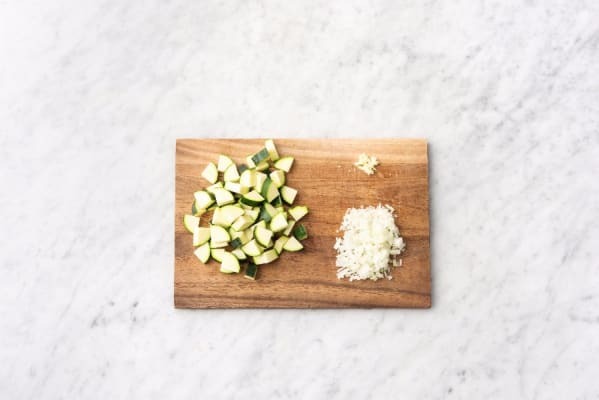 Quarter zucchini lengthwise, then cut into ½-inch pieces. Halve, peel, and dice onion. Mince garlic. Strip 2 tsp thyme leaves from stems; discard stems. Roughly chop leaves. Heat a drizzle of olive oil in a large pan over medium-high heat. Add beef, breaking up meat into pieces. Cook, tossing, until browned but not yet cooked through, 4-5 minutes. Season with salt and pepper. Once water is boiling, add spaghetti to pot. Cook, stirring occasionally, until al dente, 9-11 minutes. 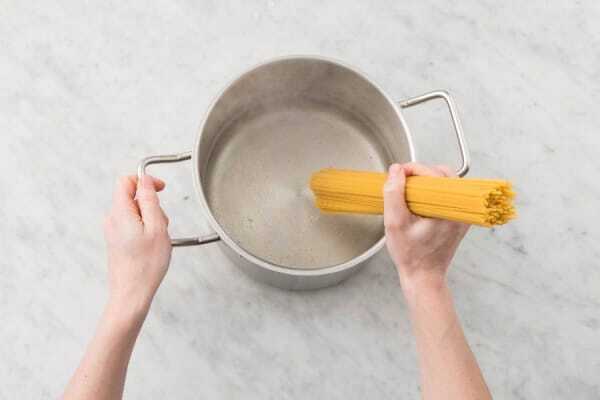 Carefully scoop out and reserve ½ cup pasta cooking water, then drain. 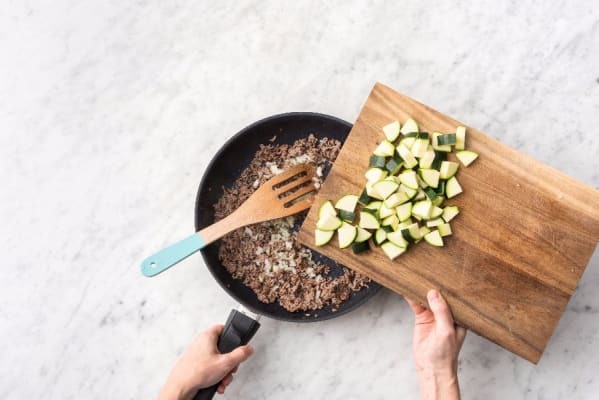 Add onion and zucchini to pan with beef. Cook, tossing, until softened, about 5 minutes. Toss in garlic, thyme, soy sauce, and half the Italian seasoning (use the other half as you like). Cook until fragrant, about 30 seconds. Add tomatoes and reserved pasta cooking water to pan. Bring to a boil, then reduce heat and let simmer until thick and saucy, about 5 minutes. Season with salt and pepper. 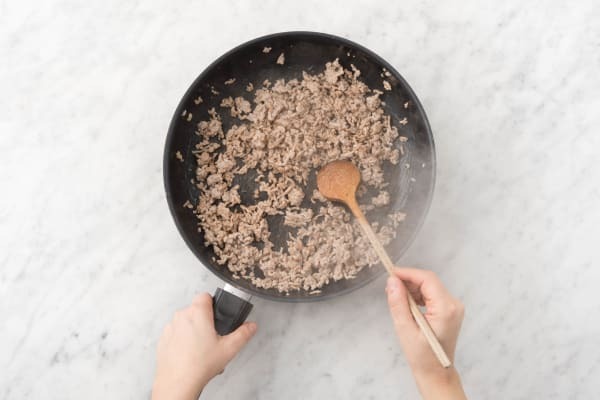 TIP: If you have time, let the ragù simmer longer. It’ll just get better! 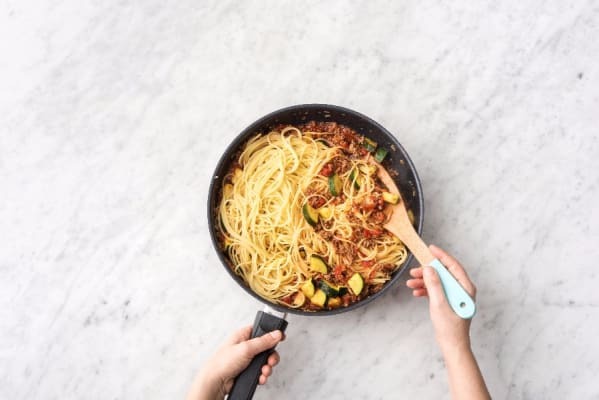 Add spaghetti to pan with ragù and toss to combine. Divide between plates. Sprinkle with Parmesan and chili flakes to taste.